St. Paul, MN – Benefit Auction Institute, founded by Benefit Auctioneer Specialists Connie and Kurt Johnson (Kurt Johnson Auctioneering, Inc. of the Midwest) and Christie King, (C King Benefit Auctions of the Southeast), announces its launch, aiming to re-imagine the way nonprofits raise benefit auction funds. Benefit Auction Institute has been working for two years to become the go-to resource for all things benefit auction. Merging their 50+ combined years of benefit auction market intelligence, Benefit Auction Institute has set its sights on helping nonprofit organizations raise funds more creatively, work more efficiently and deliver memorable experiences while exceeding revenue goals. 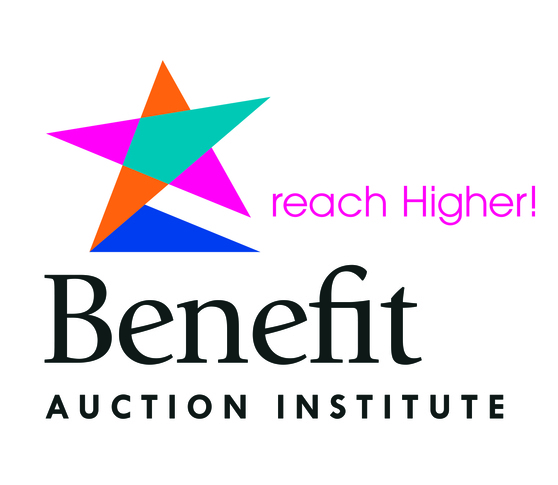 Benefit Auction Institute will accomplish this through in-person and online education classes and online resources such as auction vendor directories, a blog and more. Those who take advantage of these offerings will streamline processes and influence key decision-makers, all with the goal of creating results-driven benefit auctions. With over 2.3 million nonprofits in the US in 2015, there is enormous competition for donor dollars. Setting one’s cause apart in ways that resonate with 21st century donors is tantamount to success. The launch of Benefit Auction Institute promises to empower nonprofits and their volunteers to do just this. Thank you, Marcia and Mike, for taking the time to explore the site and to learn about our mission. We appreciate the congrats and will work to earn the trust of our nonprofits in their important work. I was happy to receive this message so I could take a look at your website and learn about your new business. This is very exciting and I can only imagine how much work this has entailed. You two deserve all the best and Mike and I congratulate you on this new endeavor. Thank you so much, Stuart. Your trust and partnership mean so much to us. And they will mean a great deal to those who enlist your services. Cheers! Congratulations on the formal launch of BAI. We have been with you from the beginning and Mitch-Stuart, Inc. is proud to be one of your Premiere Platinum Partners. Jim, thanks so much for your endorsement and support. This means a lot coming from a Minnesota Hall of Fame Auctioneer. But mostly it means a lot coming from a dear friend. I can't imagine a better team to come together to help so many. You will touch countless lives and I am proud to know and support you. All the best. Thanks so much, Bill. We appreciate the well wishes. All the best! Best Wishes and Godspeed in this new adventure! Lisa, thanks for the endorsement. Be sure to tell your friends and spread the word. We appreciate it! Thanks Rick. You don't know how much that means to us. Awesome guys the Benefit world has been needing something like this. Congratulations Connie and Kurt! This is great news! So happy for you. I know that you are out doing great things.